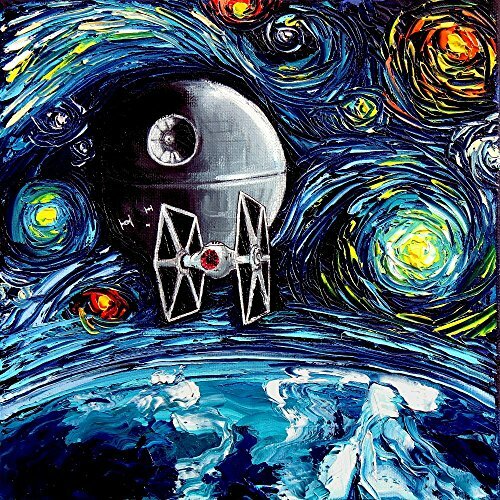 This stunning print of my original painting entitled “van Gogh Never Saw The Empire” utilizes all silver traditional photo processing. It is printed on high quality Fujifilm Crystal Archive paper, which will last over 60 years without fading. Also available in 8×8 and 10×10 inch print sizes, see other listings! Inquire for additional sizes, including 20×20 and 24×24! *Please note colors may vary from monitor to monitor due to individual settings and limitations in digital photography – every effort is made to come as close to actual colors in each painting as possible.